If you're a subscriber to Crunchyroll, you're in luck! 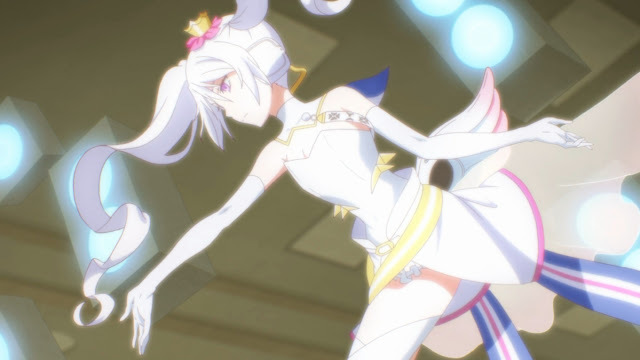 The streaming service has started broadcasting Caligula, the anime based on The Caligula Effect, which is in turn the most underrated JRPG ever produced, bar none. So drop everything and go and watch it, because the anime is every bit as good as the game. It doesn't have particularly glowing reviews, though. On Crunchyroll's user ratings thing, it's currently sitting at just 3 stars. And as anyone who knows anything about Crunchyroll's user reviews system knows, 3/5 is basically catastrophic. At first I wondered why that might be the case. After watching the first three episodes through, I think I understand why, now. I don't agree with it, but I understand it. 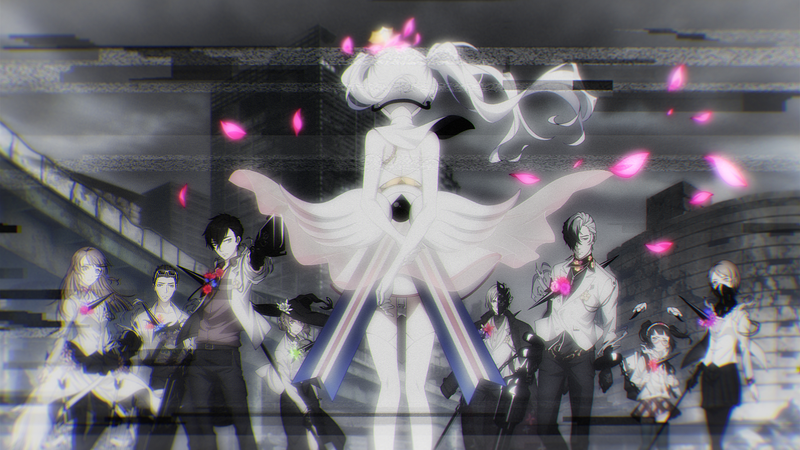 Caligula (and this goes for both the game and the anime) has a real issue in being quite inaccessible. The storytelling is dense and unwieldy, and effectively assumes that its audience is enough up in Aristotle and a half dozen other philosophers to fill in the blanks and make sense of it all. It's basically Persona, if Persona was written by an academic that didn't necessarily care if the audience "got" it. As far as anime and games go, this is very much a problem, since these are popular art forms. You can get away with assuming a certain kind of audience will show up to a ballet or a symphony (though I wish video game fans would learn certain manners around going to a symphony the next time one of those video game ones happen), but an anime that makes that kind of assumption runs the risk of confusing a large percentage of the audience... and as we've seen with Persona 4 and 5, it's quite possible to do this kind of story without confusing the audience. But putting all of that aside. Caligula really is brilliant. It tells the story of a virtual idol that games sentience. As per a quality plot summary on Wikipedia: Mobius is a perfect digital world for the imagined benefit of humanity by μ, a virtual idol program that attained sentience and self-awareness. Only humans who are suffering in the real world and strongly relate to μ's songs are lured into Mobius. Once they enter, people often forget that the real world exists. Regardless of age or gender, they are turned into students and forced to experience school life over and over, which μ considers "the most radiant time in a person's life." This theme is so incredibly relevant to this day and age, as technology continues to develop to the point that it gives people an exit from the real world. Heck, μ is an explicit reference to Hatsune Miku, and I've written extensively about Miku's sociological impact and role as supernormal stimulant. The idea that people will "escape" reality to participate in a far more palatable digital experience is one that it becoming more and more valid by the year. So Caligula addresses topics like perception, the understanding of reality, the morality of it all, and the social consequences of it. What amazed me was how willing this anime was to be quite wordy about it. Perhaps that's another reason that people have been marking the anime down somewhat; it's wordy, and those words can pull at the pacing of it. Anyone going in expecting it to be action-heavy, or even like Persona in style, will find themselves doing a lot more subtitle reading than they may have expected. But, again, it's smart. And it's gorgeous. I love the washed pastel-like look of the art, and the characters are drawn quite lovely. The music has been pulled straight from the game, and while you can probably argue that there wasn't quite enough music in the game (i.e. it did get repetitive), in a shorter, more linear experience such as an anime, that music is just amazing. 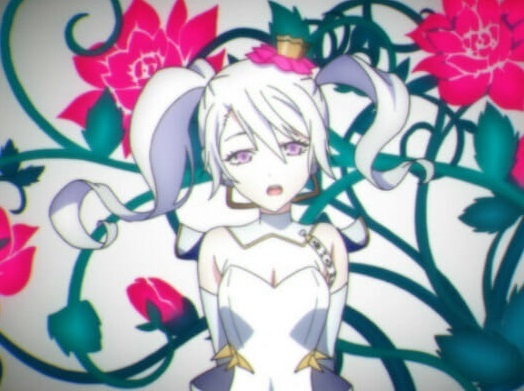 See, the creators of Caligula actually pulled in vocaloid and other "otaku culture" music producers to create tracks, and thematically that matches up so perfectly with the conflict between Miku - I mean μ - and the other characters. The anime is 12 episodes long, and Crunchyroll seems to be releasing them by the week, so there's still a couple of months to go before you'll be able to binge watch it. But definitely keep it on your radars. As I've said in this article, it's not the most accessible anime, but it's so damn smart and gorgeous that it's worth puzzling through. Oh! And I never expected this anime to be localised, because the original PlayStation Vita release didn't exact line Atlus' pockets with gold as the publisher. But with the localisation of the anime my hopes that the PlayStation 4 remake of the game will also be remade has risen, quite substantially. I would play the death out of that.